Attention: Our attempt to go live Monday failed due to a delay in the transfer of domain name to our new host. Meet the new host, same as the old host… In any event, we’re doing all we can to speed our comeback. Please keep trying. I have been “assured” that the worst possible case will be Saturday the 23rd. Since popping into existence on or about the 25th of January, 2010, Uphill Writing has gone through several changes. Now—fasten your seatbelts—we’re about to go through a total remake, remodel. None of what you come to UhW for now will be lost, and we will continue writing about writing, issuing challenges, and saying things designed to provoke, but we’ll be adding so much more. Look for UhW to be a clearing house for writing resources, opportunities, news, reviews, and all things writing. Look for the latest on contests, how to enter, and what it takes to win. This will be more than just a facelift, it is our intention to give you as much support as possible, because we believe there is no need for you to be Writing without a net. NOTE: WE WILL NOT BE CLOSING DOWN, BUT WE DO NOT EXPECT TO BE PUBLISHING NEW POSTS FOR AS MUCH AS A WEEK. 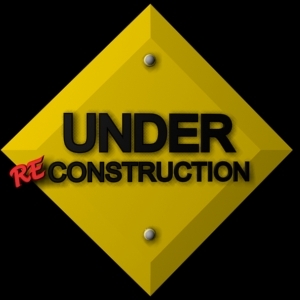 WATCH FOR US TO BE BACK SOON! How about you? Does it ever happen that an essay, an article, a story, a chapter, even a whole novel turns out to be pure, unadulterated garbage? No? Well, You’re lucky. Happens to me all the time. What do you do when you find out you’re written something that is embarrassing? How does that even happen? We’re all fairly bright, rather well-read, in other words, not methane-breathers, right? Realistically, we don’t put our work out there in the world if we think it’s bad, now do we? So how does it happen? Sadly—and perhaps gladly as well—it happens because we grow. The work we published as teenagers, or later in life didn’t seem that bad at the time, did it?Of course not. We just outgrew it. How about the things we wrote and, say, put up on a blog 6 or 7 months ago? How bad could that be? Sometimes we can judge, sometimes we can’t, but hindsight is golden, isn’t it? Those old blog posts might have been a little clunky, but the spirit was good, and (see above) we aren’t idiots. We just kind of outgrew what we wrote earlier. Chances are it’s out of your control then, even if you can go back and change what is on your blog, others have looked, read, perhaps even copied. Once it gets out there, it’s hard to control. A few days ago I wrote about John Fowles, and the struggle he had getting his first novel, “The Magus” to light of day. He wrote the book twice, and made a big hit with it both times. His problem? He didn’t think it was ready after all, even after it had critical success. Now, I wonder how stupid this is going to sound to me in six months? A person who speaks, writes, or reads a number of languages. My friend Kip speaks French, Spanish, Esperanto and a dialect of Chinese. He is also able to program in BASIC, COBOL and C++. I would say that he is a true polyglot. How will you use polyglot in a sentence today? This morning, as I was about to spring out of bed in order to start yet another very long day of writing, and writerly tasks, I turned to look at the clock. And the clock blacked out. I thought it was me, at first. Sleep has been elusive of late, and I’ve resorted to sleepy pills (shhh, don’t talk too loud around the rest of them–you’ll wake them up!) And of course, this means a groggy, slow to speed kind of morning. So, maybe the clock didn’t go out. Maybe we all just blinked at the same time. Ah, but no. In fact not only had the bedroom clock gone out, but every clock in the house except for the one powered by batteries hanging on the kitchen wall. And I couldn’t see that one, because it was dark. Yeah, power outage. One of the first things that occurs to me if I can’t get to my computer, and get some work done is this: Well, since I can’t write anyway, how about if I pop some corn and watch a movie. (Yeah, I even think that way that early in the morning.). Of course then my mean-kid-from-down-the-block-voice says nyah, nyah, can’t pop corn! Can’t watch TV. No POWER, idiot! I’m spoiled. I no longer have a typewriter. Since I type more than I write, my handwriting is so bad I was actually—this is true!—asked if I was a doctor by a nurse when I had to sign for a prescription one day. There’s no way I can write longhand and expect to make out more than a few words a day or so later. I’m spoiled. I need light to work. I need my computer, and my connection to the Internet to get the job done. One big EMP explosion and I’m killed, cooked and served. Food in the freezer would start to go bad. If you had a gas stove and had matches you might be able to cook some of the perishable things, but then what? Feast time? I’m spoiled. If it weren’t for the battery-powered radio I keep in the bathroom so I can listen to the news when I shower, I wouldn’t have been able to check to see how wide the outage was. If I’d remembered to charge up my cell phone, I could have called the power company to see what to expect. But of course since it was my whole neighborhood that went dark—I went outside and checked—and who knows how great an idea was afflicted, the wait on the phone would have probably eaten the remaining charge. My phone charge doesn’t last as long as an old-style one-function cell-phone. See, I have one of those new phones that does 127 things besides being a phone, including downloading TV shows. It doesn’t make popcorn, though. I’m spoiled. I want all of my services—services? No, my divine right to power, heat, cold to store food, electrons to inform and educate me, and my Internet connection so I can tell you how spoiled I am. Oh, by the way, I got a new cable modem installed yesterday. It has a battery, so, while I couldn’t get this computer going, I still had Internet connection. I just couldn’t SEE it. Gahhh! It did it again. Another power outage. Dark screen! Dark screen! I hate it. I have no idea how much of this post I lost. Ever notice, though, how the writing you lose, the ideas you forget, are somehow so much better than the ones you don’t lose? Well enough of this. This is only a little about writing. Mostly it’s about being annoyed, frustrated, and impotent in the face of a power failure. I guess it’s true. I’m spoiled. Posted in Character Study, Humor, Lyrical Moments, Shout-Outs! 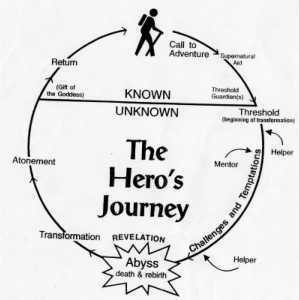 My two favorite story lines are the “journey of the group” and the “transformation of a character“. Even better are the stories which do both. Tolkien’s Lord of the Ring series is an excellent example. Frodo must go from a simple, happy Hobbit to a seasoned, bone-weary, and world-wise traveler. Of course he has three volumes to do it in, but grow he must, and grow he does. There are stories where this is done in extreme, and the result is comedic. While I love the John Ritter and James Belushi film, “Real Men“, but the transformation from Milk Toast to He-Man Special Agent is too fast and unbelievable. Unless you are writing about a Superman-type character, your MC will need to grow throughout the book. Only special proto-type characters can stay the same. In such a case the supporting characters need to change. Someone has to grow, has to change, during the story, or you find yourself slipping into Experimental Fiction. The change has to be subtle, by the way, in order to be believable. Also, do yourself a favor, and don’t use the hackneyed old bit about guy meets girl and they hate each other only to fall in love. Find a different way, OK? I mean, really, what’s the first thing that comes to mind when boy meets girl and the sparks that fly are ugly? Yeah. That’s it. They’re gonna be an item. People might fall in lust right away, but love takes longer than that. Let things perk. Let them develop. The trick is to know what the change will look like once it is complete. Then, ask, will it occur half-way through the story? Three quarters? Will it take the whole book? Will the character have to die, and in dying see the light? If you know where the character is going, the chances are good that you can figure out how he or she will get there. Extreme preoccupation with and indulgence of one’s feelings, desires, etc. ; egoistic self-absorption. Some would say that “writing for oneself” is a form of solipsism. Others would say that saying the that (above) was asking for trouble. How will you use solipsism in a sentence today? Over the years I’ve learned that certain words, to certain writers, are little more than a nasty noise. One of those words is “Outline”. Yikes! Did I just feel a shudder running through my keyboard? A lot of writers I know would rather chew off their own leg than outline a novel, or even a chapter, but my experience is that a very brief outline really works. If you know where your story is going, if you know where your characters need to be at the start and the end of a particular chapter, then all you really need to do is herd them around a bit. Knowing where your novel should start, what the character and plot development points are, and approximately when they should happen is not a crutch. It is a valuable tool that will have you writing rather than scratching your head and staring out into space. Knowing where you are going keeps you going. Now, for those who have just been convinced, and those of you who are in the choir being preached at, here’s an idea about how to make your outline a reality. Do it instead of something you hate to do. For me, it’s waiting in line. Waiting for a queue of people to move up for me is tedious and irritating. When I can, I bring a book or play a game on my phone, but unless the game or book will inspire ideas for my novel, I’m just wasting time. The solution? Bring a notebook. 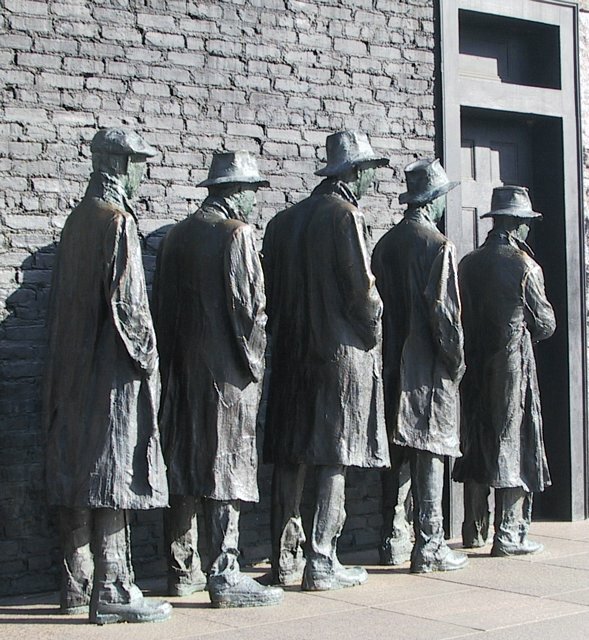 Come on, people, you’ve got nothing better to do in that line, right? Jot down a few ideas. Imagine where your lead character will be when the book starts, and make a note of it. Think of when and how you will introduce your supporting characters, your villains, and the like. The idea is to do a large, loose outline. You’re not committing yourself to a final form for your novel, you’re just giving yourself a basic roadmap, and permission to create while standing around waiting.